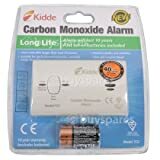 The alarm protects against the dangers of deadly carbon monoxide levels in the home and provides continuous monitoring of CO levels. This alarm can be installed on a wall or as a tabletop unit for added convenience. These alarms benefit from a small, sleek design that is suitable for all living areas. 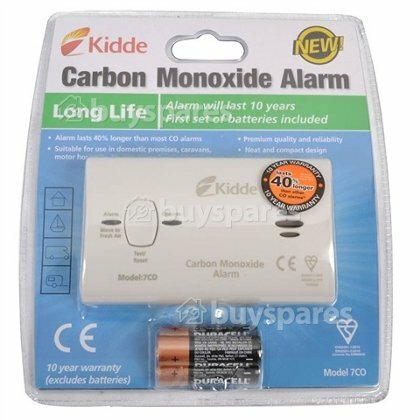 They have a 10-year sensor life, providing up to 40% longer protection than many other CO alarms currently available. Carbon monoxide is a colourless, tasteless and odourless gas that is produced when fossil fuels such as coal, oil, natural gas, LPG, charcoal and wood are not burned efficiently. It can be produced from poorly maintained or badly fitted domestic heating appliances such as boilers, wall heaters, wood burners, blocked flues or exhaust vents. The symptoms of CO poisening include headaches, sickness, tiredness and muscle pain - all of which can easily be misdiagnosed as flu. 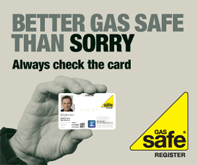 It is therefore important to protect your family and home with a carbon monoxide alarm. 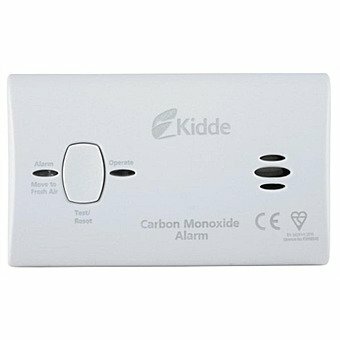 High quality Travel Portable Carbon Monoxide Alarm - no installation required. Suitable for use on holiday and business trips or in the home. Batteries included and 10 year manufactureres warranty.